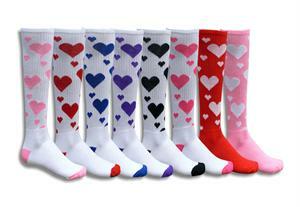 Hearts Socks - great for soccer, softball, volleyball, cheerleading & all sports! 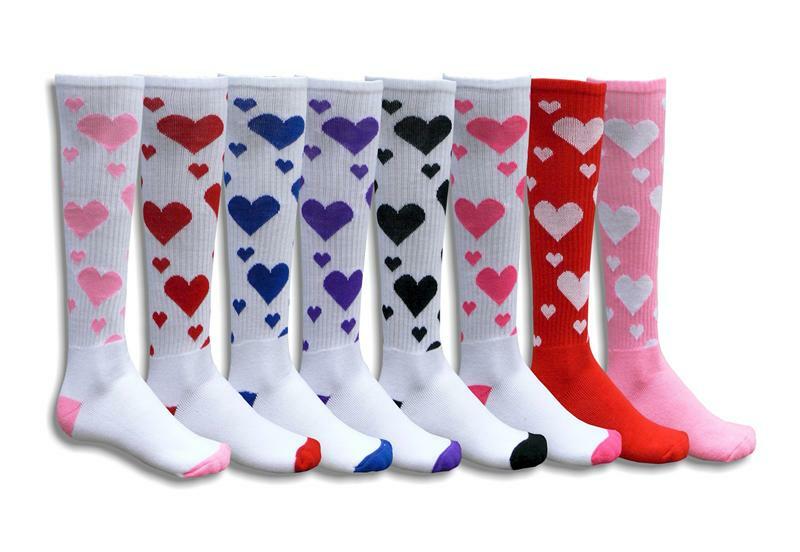 Great heart socks in a variety of adorable colors! All colors are available in size 6 - 8 1/2 girls & size 9-11 womens. Minimum order 12 pairs total - can be a mix of sizes. Variety pack is a dozen pairs with at least one of each color.